We understand that navigating the health care system can be challenging and complex, especially as your care needs evolve. Solutions at Home, The New Jewish Home’s integrated program provides expert geriatric care managers and specially trained home health aides to help you remain vibrant in your home and in the community. 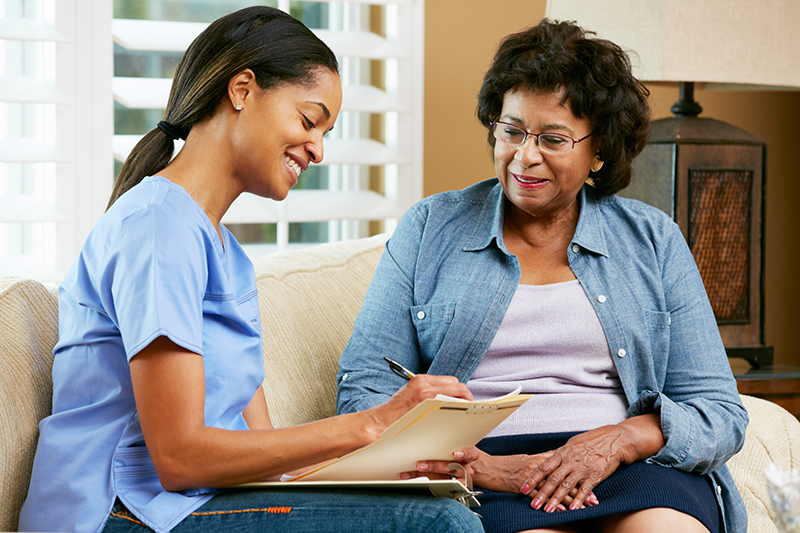 Our Geriatric Care Managers are experienced and compassionate nurses and social workers who will work closely with you and your family to create a Customized Care Plan. Whether you are recovering from illness or injury, need help with daily activities or arranging health care services, we will coordinate all aspects of your care. Our expert geriatric care managers will consult with your primary care physician and other health care providers to arrange services. You’ll have 24-7, around-the-clock support with Solutions at Home. Our Home Health Aides have received extensive training (20% more training than required by New York State) to provide exceptional service to help you with activities of daily living and maintain a clean and safe home environment. You will also benefit from their expanded knowledge about caring for older adults with Alzheimer’s disease and other dementias and cardiac conditions, on which our home health aides received additional training. Solutions at Home is here to provide a fully integrated solution for all of your care coordination and home health care needs. If you are looking for open home health aide positions please send your resume and cover letter to gro.e1556079418mohhs1556079418iwej@1556079418sboji1556079418pah1556079418. For questions about our Solutions at Home service, please fill out the form below.